You can always count on the Up Theater Company to deliver theater that is provocative, engaging and relevant. 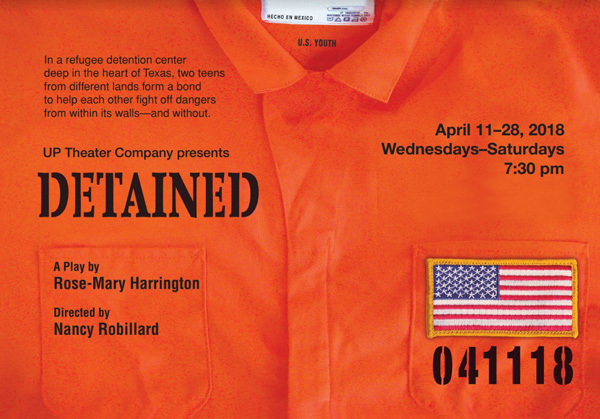 Their latest production, Detained, is no exception. Set in a refugee detention center deep in the heart of Texas, two teenagers from different backgrounds form an unlikely bond to counter the dangers lurking within and without the confines of the facility. Click below and get your tickets ASAP.